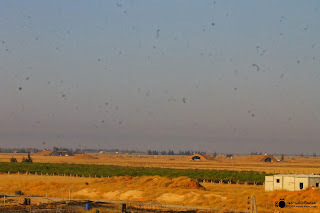 It's not Green yet, unfortunately, but soon will be. 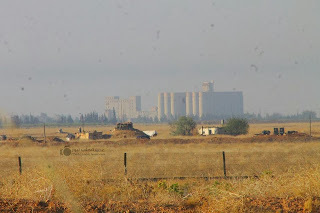 Kweres, which is known also Rasm Al Abboud, or الكلية الجوية 'The Aerial Academy' that located to the east of Aleppo, somewhere in the middle between Aleppo IAP (Neyrab) and Kshesh AFB. I got to find some great photos taken in the period between 13th and 24th Aug. 2013 in which we can notice some slight modification to the layout of air units. 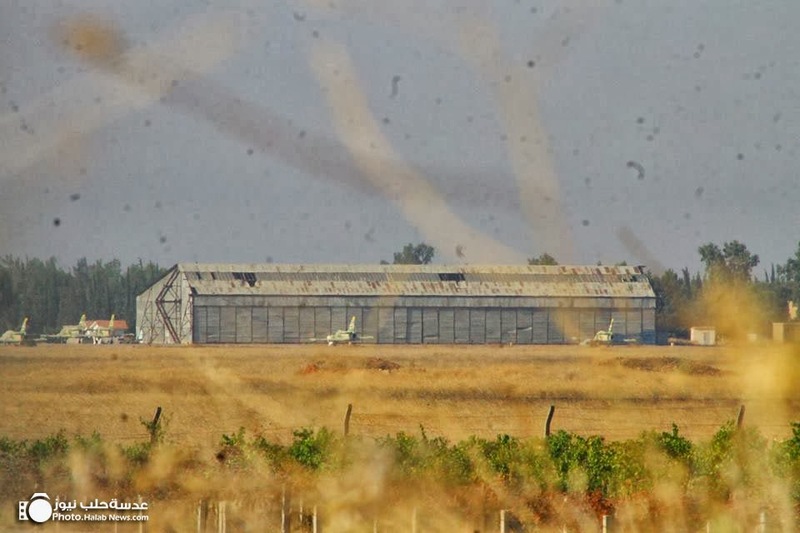 Closer shot to the same hangar, which can accommodate at least Eight to Ten L-39's. This area is to right of that hangar, shows wreckage of two Meteors. 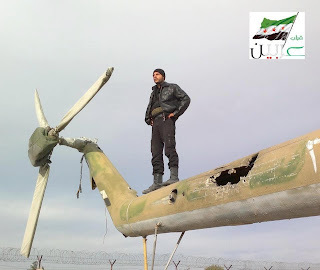 It's good to know here that in Kweres alone there are Fifteen airframes of this type, One only in Neyrab and One used to be seen in the Technical Academy in Aleppo city before shifting it somewhere. 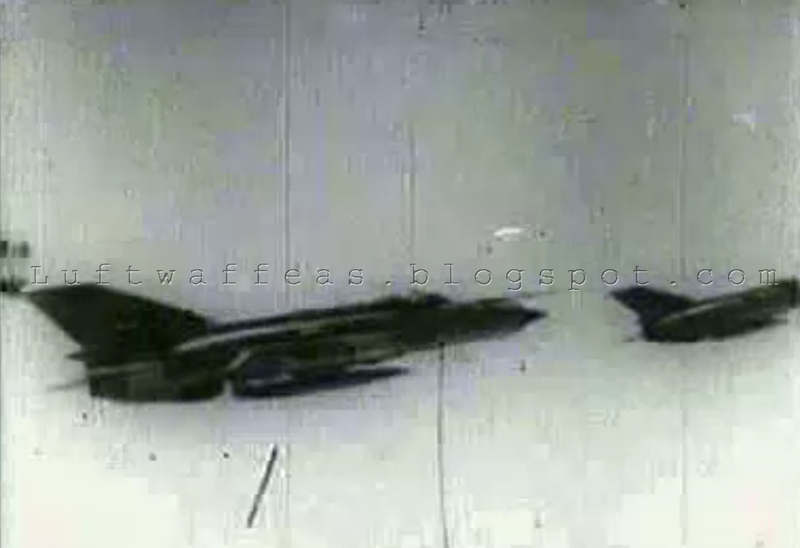 Another Two poor Meteor's lie here, I don't remember if I mentioned before this fact somewhere in my blog: these Meteor's were phased out from service with their full operational status! that took place when Soviets started delivering their MiG-15's in 1950's, one phased out Meteor did not record more than 10 hours flying!!! 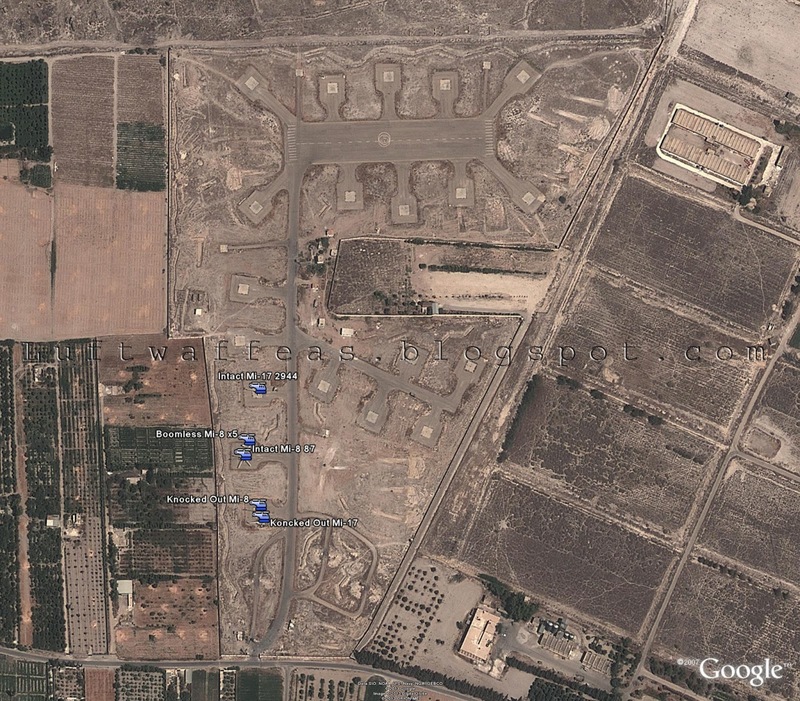 Now, going to the far eastern border of the air field, with a comprehensive shot shows the eastern secondary tarmac accommodating Five L-39's. 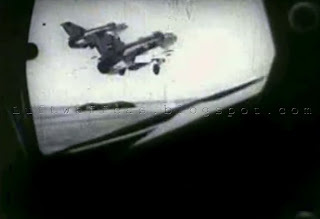 Another one can be seen inside the HAS to the right of the image. 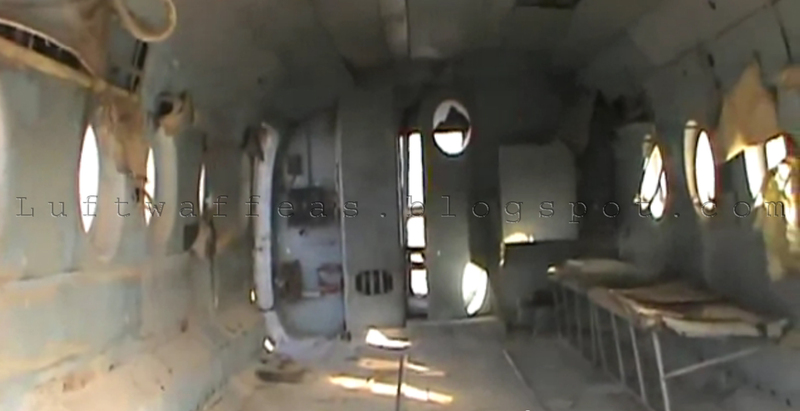 And, to the one inside the HAS, with two Mi-8's seen in the first photo. 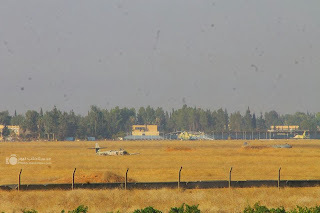 Our hero here did not save any measure to photo-archive the base from different corners -hoping he will do the same to the western end of the air field. 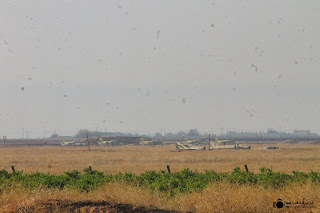 Showing the Five L-39's here with a very interesting wreckage of MiG-15UTI, MiG-17 and MiG-21 (could be F-13) newly brought here!! Another Four L-39 are gathered inside an aircraft shelter not very far from the south eastern double HAS. 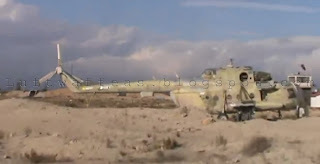 The Two Mi-8's in a very weird location, never used to accommodate any aircraft here before, in the coming days I will prepare a key map showing the location of each aircraft recently spotted in the base. 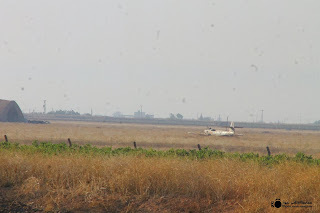 A shot shows the location of a SyAADF AA guns, to the left of the photo there is an aircraft looks like a MiG-21 while previously there was only one Meteor in this place. We have to wait until new GE aerial imagery comes. 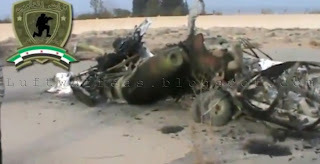 The last photo is for a Meteor sadly lies away from the tarmac where it belongs to with its washed out camo. 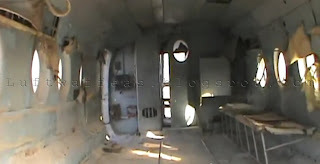 I'm sure someday -in the near future- we are going to see detailed photos for these great birds. 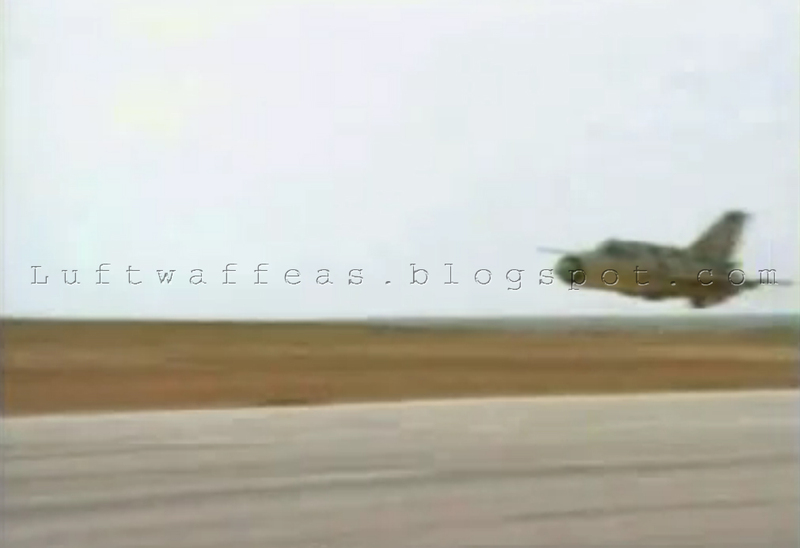 A new video just been uploaded to YouTube showing a Syrian Air Falcon 20F taking off from Al Mazze airbase. 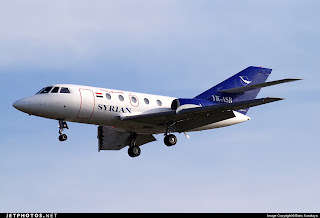 Aside from being the very first time for such type to be spotted operating since the beginning of the uprising in the country, it is good to know that this aircraft is used only and only for VIP transport, I'm talking here about presidential trips !! Although I cannot confirm whether it took off carrying the 'Assadist Family'. 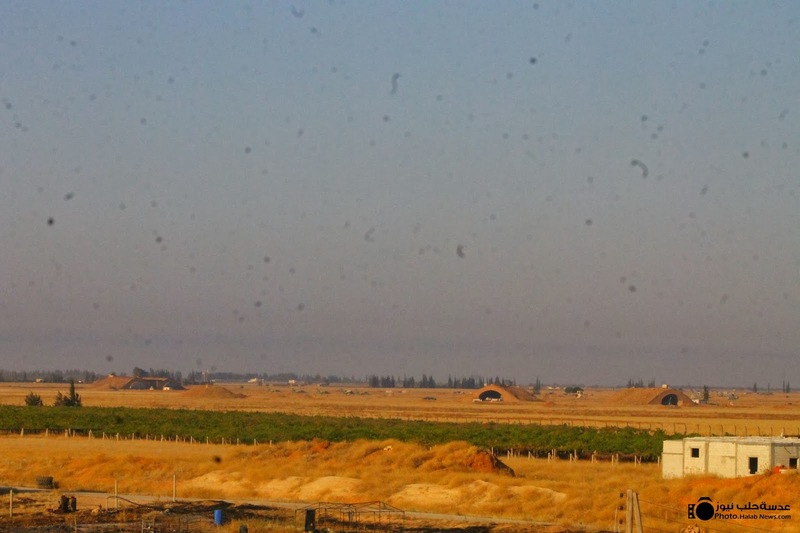 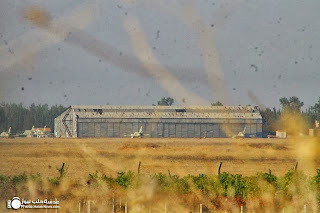 Deir EzZour AFB is still one of the Assadist regime's stronghold not only in Deir EzZour city, but in the Eastern part of Syria which is called Al Jazeera, as it is the home base of MiG-21's those perform bombardment and attack sorties over the city and nearby villages. 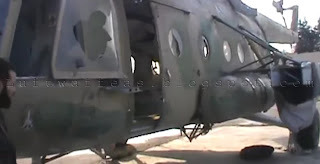 I could find these two shots for this AFB, both were taken on 26th Dec. 2012. 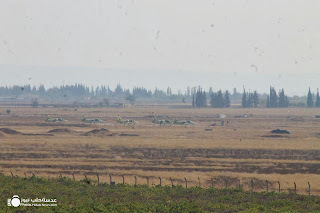 The first one above shows the double HAS in the furthest west of the airbase sheltering a pair of MiG-21bis, a MiG-23BN stands between the HAS and another row of MiG-21's (look to be phased out). 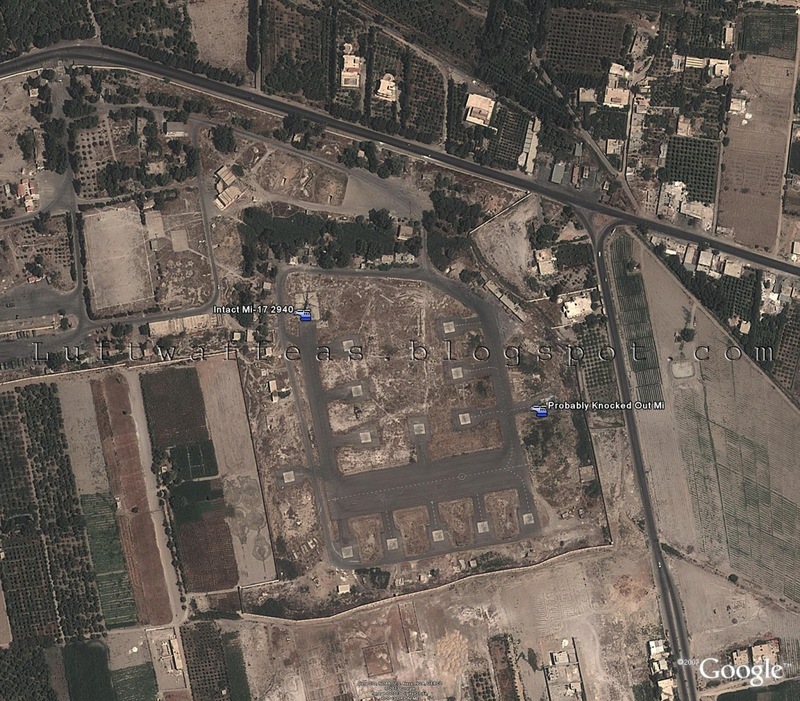 Referring to the available records, the MiG-23BN was very effective during the fourth quarter of 2012 and was last seen operating from this base in the mid of May 2013, knowing that this variant was never seen in Deir EzZour AFB before the uprising. 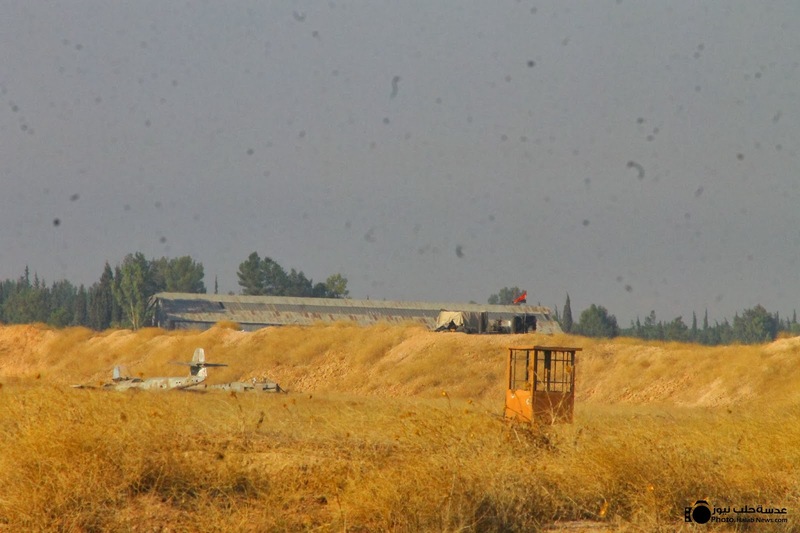 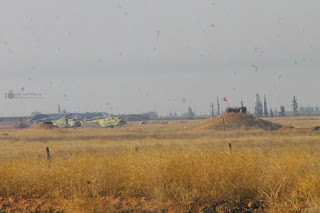 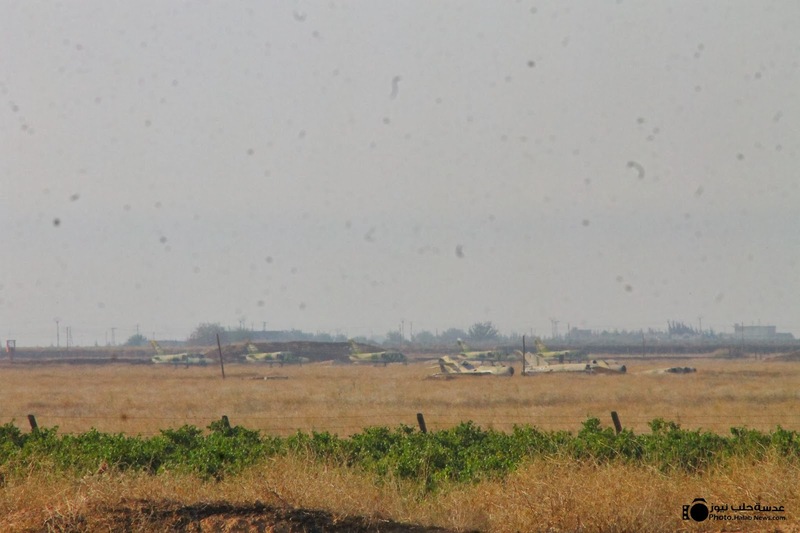 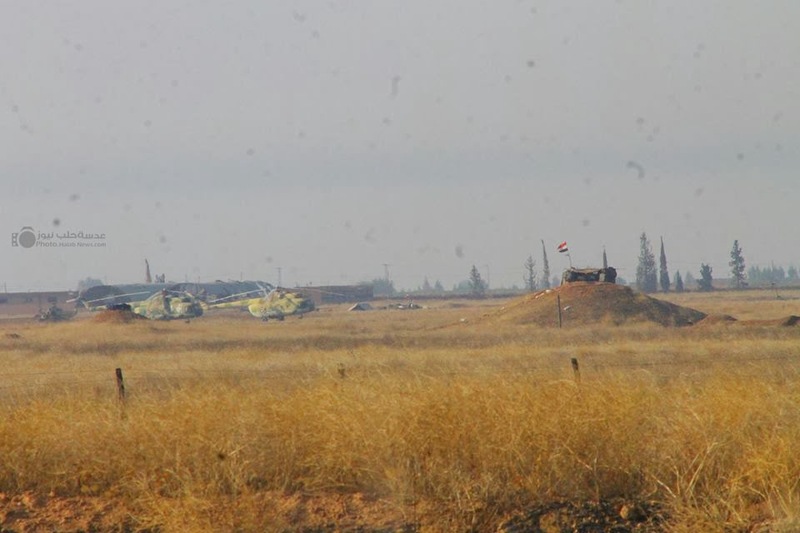 The second shot shows the heli's tarmac infront of the airbase command's buildings, pair of Mi-25's and three Mi-8/17's. 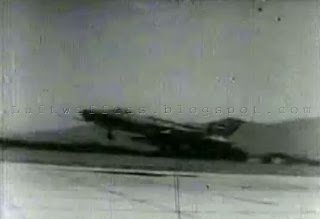 A very interesting video showing the main jet tarmac with five MiG-21's in row, and two are inside the eastern double HAS. 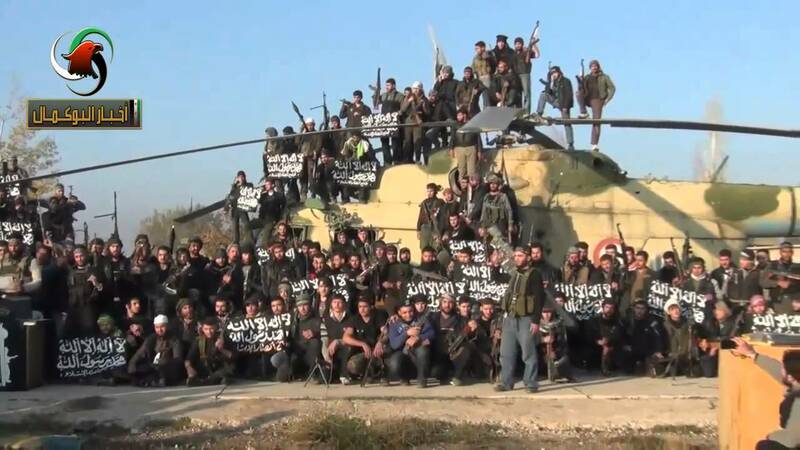 I'm not late to report the liberation of the first Syrian Air Force base here. 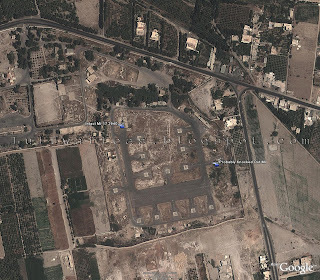 I was awaiting the GE to update its aerial imagery for this area in order to precisely locate each helicopter captured either intact of burned down, and fortunately the updated aerial view available from GE is 19th Aug. 2012 which is only three months earlier than the filtration of this AFB took place on 24th Nov. 2012. 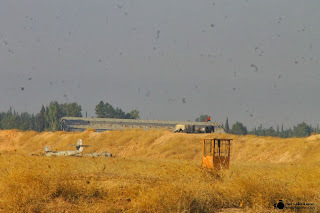 The airbase as we know is located in the heart of the Eastern Ghouta, around 15 Klm to the east of Damascus city; it is divided into Northern and Southern parts. 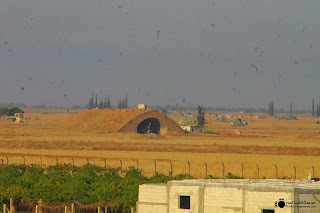 Starting with the Southern part (above), and referring to various videos recorded in this base, I could locate Five Mi's: 2 intact (again, intact here means intact with its body, but might not be air worthy), 1 boom-less and 2 completely burned down. 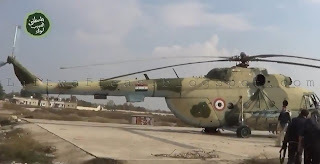 In the Northern part, I could locate only 1 intact Mi, the other helicopter available in the GE imagery might be knocked out, but no video showed this -so far. 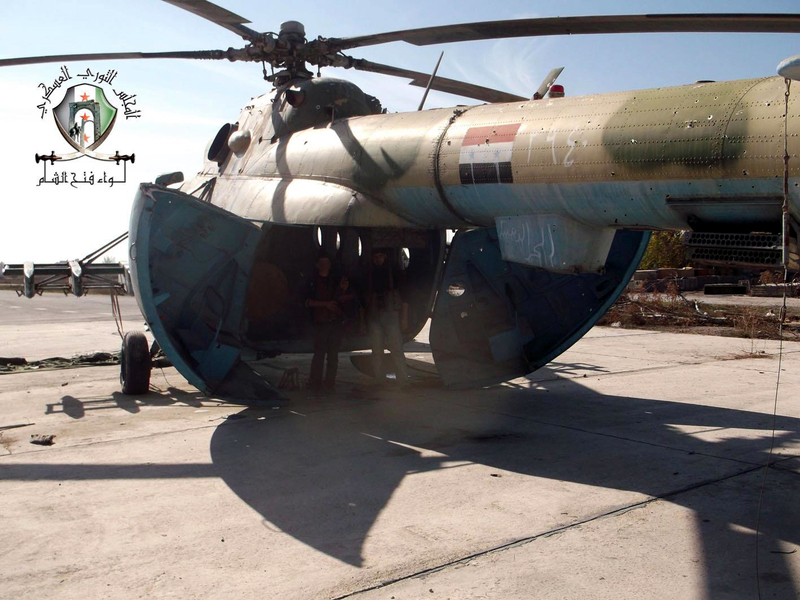 Starting our stills with the very intact Mi-17 with serial 2944. 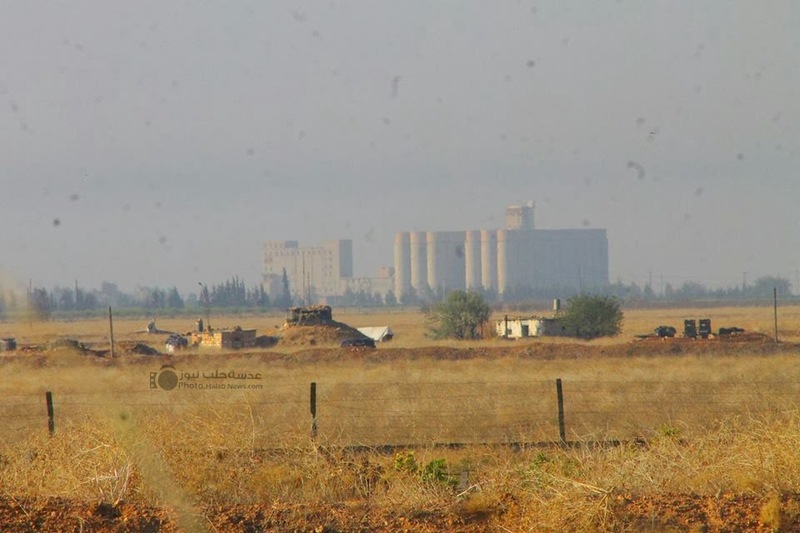 Another view for the same from back. Nice shot reflects the joy of Freedom Fighters after the liberation of this airbase. 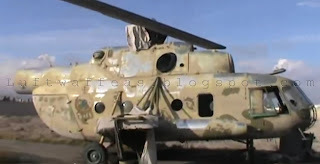 Mi-8 with serial 387, looks it has been in storage since a long time in this base, notice the insignia of 'The Factory' painted in white below the pilot's side window. Photo for one of the fighters joined the overrunning of this base before he was martyred, standing on the boom of the Mi-8 with serial 387. Beside the 387, a boom-less Mi-8 with blurry serial, but can be read as x5. Not very far, lies the Mi-17 with serial 2944. 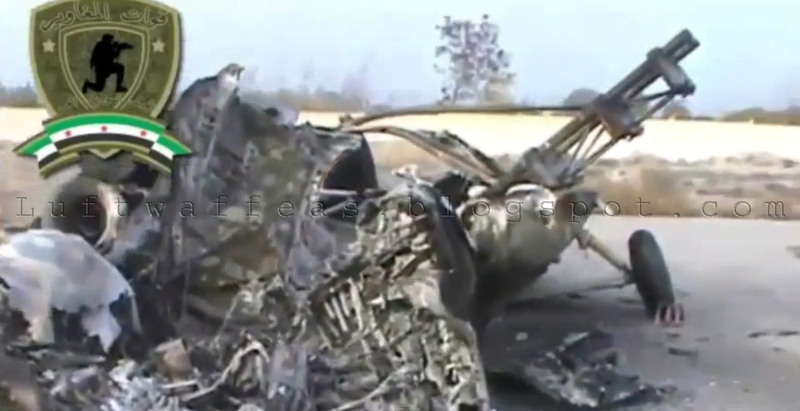 One of the two completely burned down Mi's is a Mi-8. 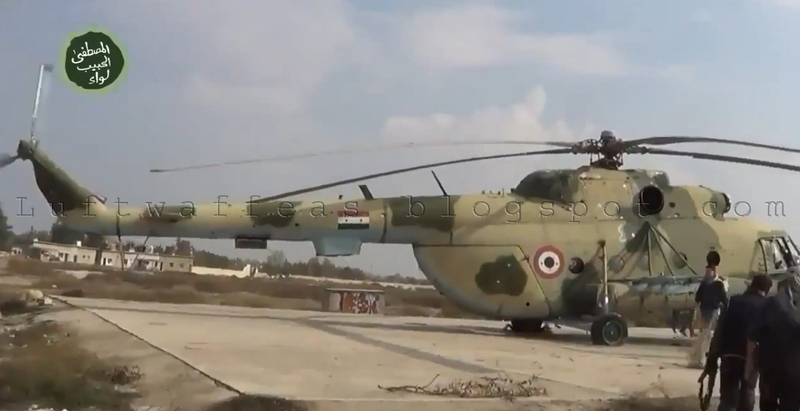 While the other is a Mi-17. Some awesome photos of the SyAAF I got my hands on again! 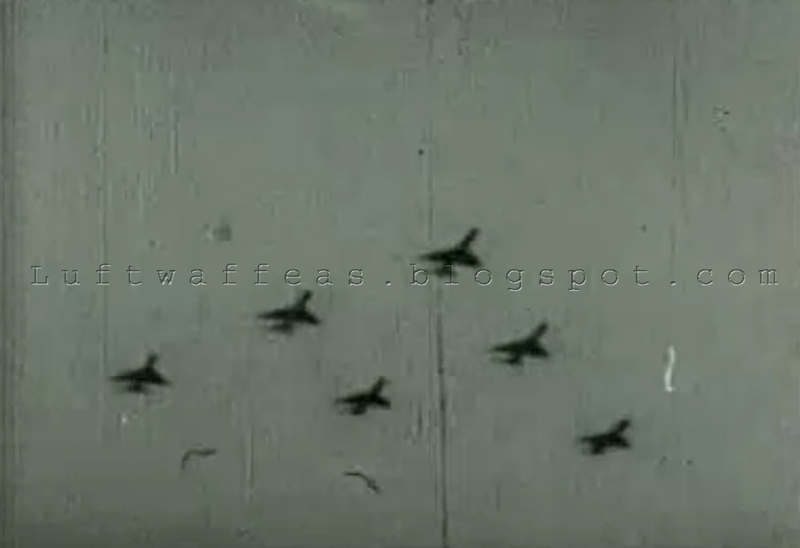 It's true that the resolution is very low, but I cannot prevent myself posting and sharing them with you here. 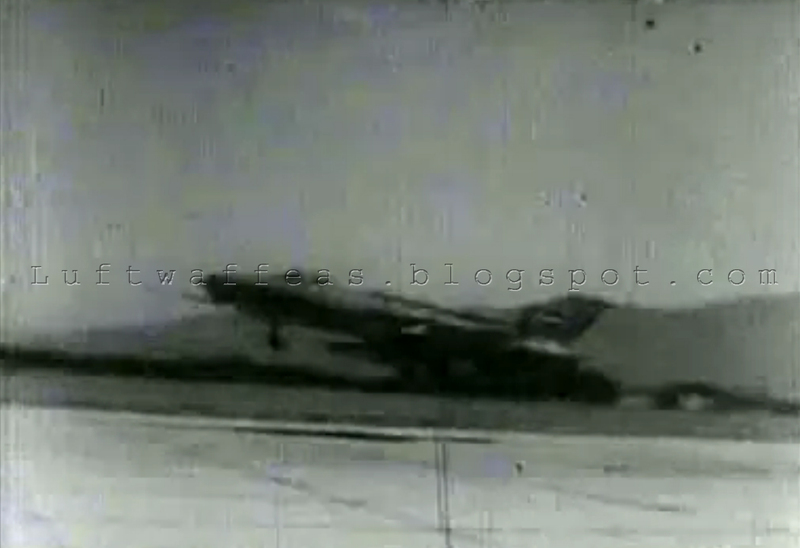 This time is for the ever greatest MiG-21 in service with SyAAF been videoed in mid 1970s (after Teshreen war). 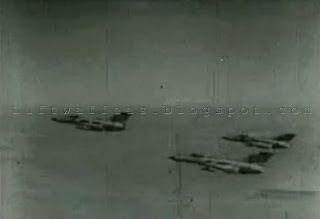 Above is a formation of six SyAAF MiG-21's. 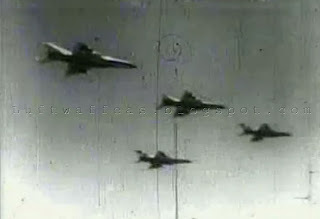 A formation of three MiG-21MF's. At least three MiG-21MF's taking off simultaneously. 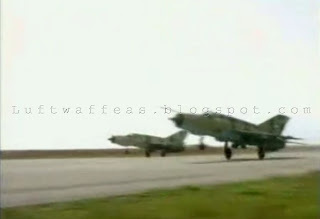 Colors are back here...a pair of MiG-21MF taking off. 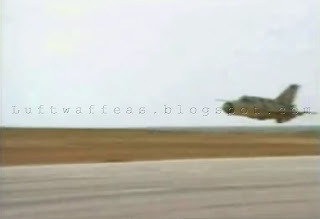 Very low pass performed by a SyAAF MiG-21MF. 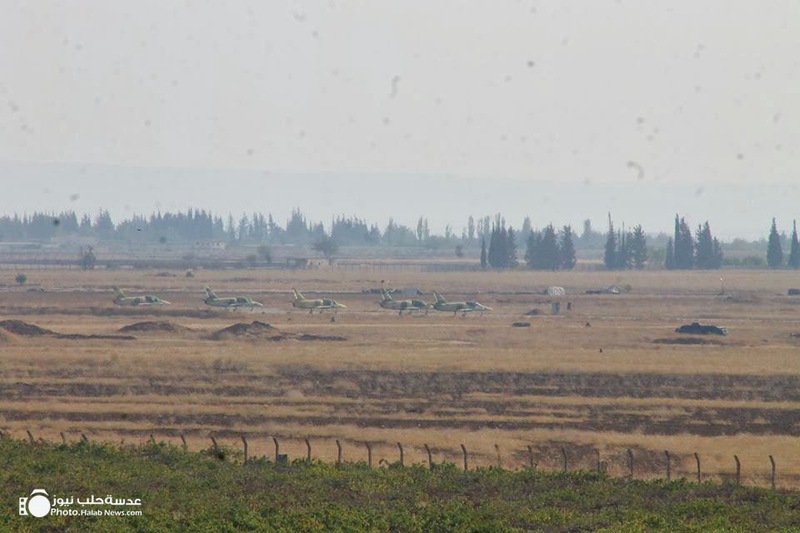 Again, an UPDATED LIST of aircraft and air vehicles spotted over Syria since the beginning of the uprising till this night, those I collected from YouTube and listed in one document to share with searchers, observers and analysts. 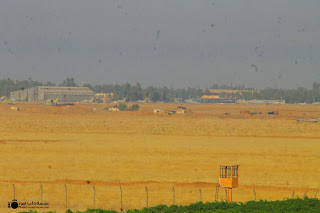 Unfortunately, there was not much too see during the last three months, knowing that a serious lack of communication and cut to internet occurred during this period, which prevented many spotters uploading their recording over YouTube. 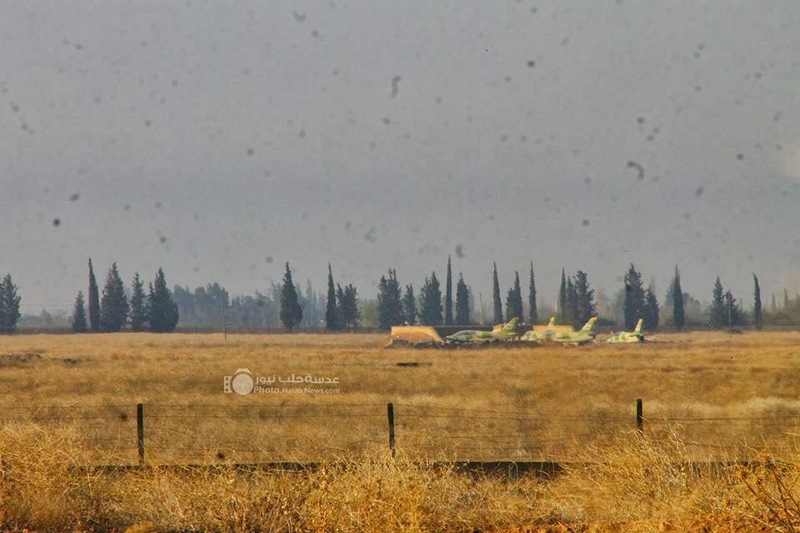 I would like to remind here that this list does not reflect the actual air raids and bombardment sorties SyAAF -or let us say Assadist Air Force to be accurate- is conducting in Syria as the actual rate is much more higher. Hundreds of videos are available as well for post-bombarding showing the after-impacts of a bomb been released over somewhere without showing the aircraft itself. - Enormous usage of airliners to transport munitions and soldiers to various AFB's, such as the use of the Syrian Airline's ATR-72-500 which was spotted many times over Al Raqqa in its way to Deir EzZour AFB. 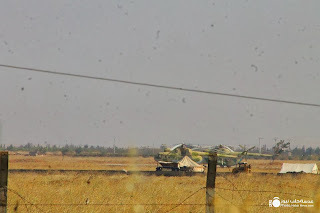 - The MiG-23BN was seen once only over Deir EzZour province, it looks that the AFB there is only operating MiG-21's nowadays. 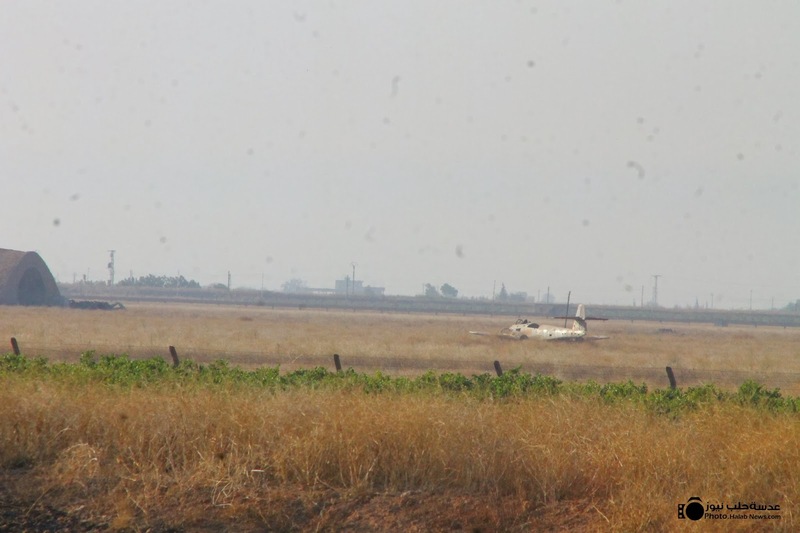 - The L-39 was last seen over Azizah town in Aleppo province on 22nd June. 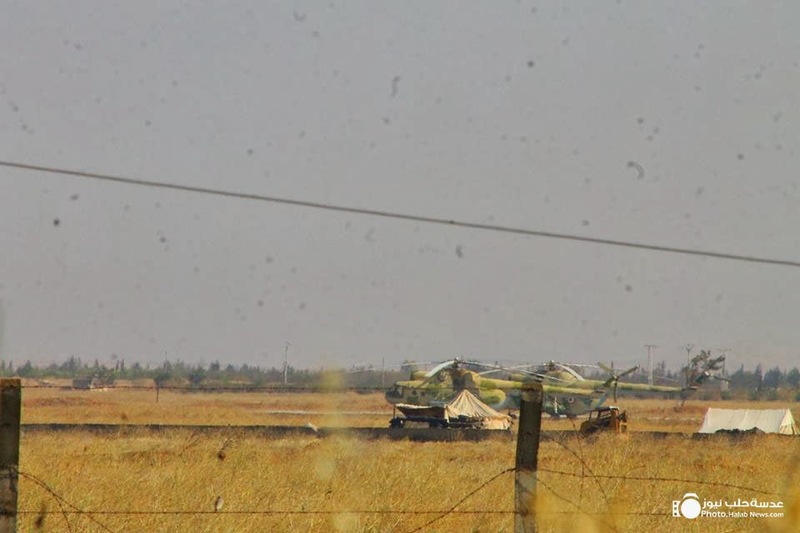 - The Gazelle's are still away from this uprising, but, four units were seen leaving their home base (Mazze AFB) heading towards the mountains of the 4th Division army. 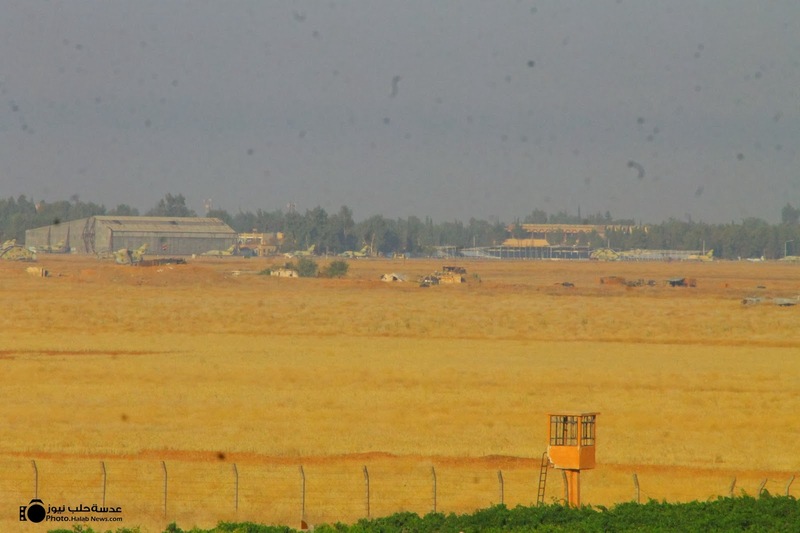 Mennegh airbase got GREEN, while the next will be Kweres no doubt!